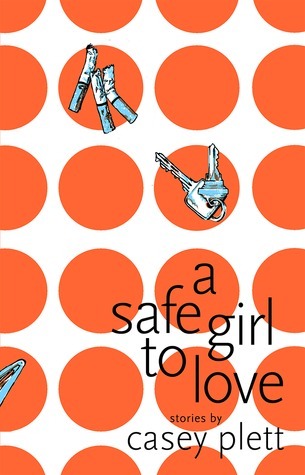 Guest Post: Jess Walton on Introducing Teddy! 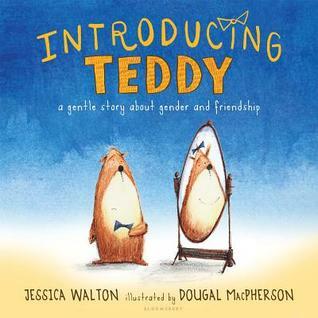 I’m excited to introduce Jess Walton on the site today, to talk about her new picture book, Introducing Teddy, inspired by her transgender dad. You can see more about the book (and buy it!) here. Please welcome Jess! 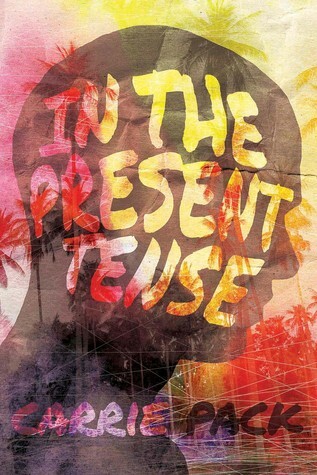 Today, my book is being released in the United States. As a first time author from Melbourne, Australia, that first sentence is utterly thrilling and still quite hard to take in. 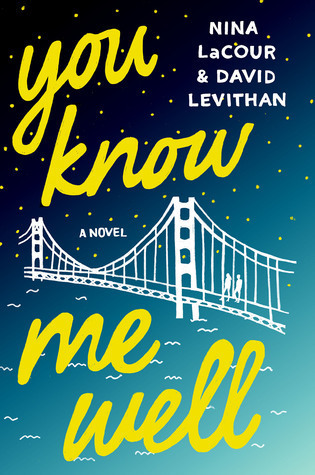 I can’t imagine what it will be like for this book to exist in another country, on the shelf of a bookstore somewhere, where people can pick it up and look at it, and maybe even buy it. Over the next few days, it will also be released in the UK and Australia. Eventually, Introducing Teddy will be translated into nine other languages, something I never would have imagined being possible at the beginning of this journey. I wrote Introducing Teddy a little less than twelve months ago, so it’s been a whirlwind of a year, but this story really started about five years ago when my dad came out as transgender. We were all surprised but accepting, though our family went through a period of adjustment as the family home was sold, Tina transitioned and my parents split up in fairly quick succession. I had come out as gay years before, and we were always a very open-minded, progressive sort of family, so my initial response to Tina’s revelation was just love and a desire to help in any way I could. As Tina’s transition progressed, all of us adult kids experienced feelings of grief, which seems completely irrational to me now. I’m told it’s a common feeling for adult kids with parents who come out as transgender later in life, but now I look back and think, ‘What was I afraid of? What did I think I’d lost? The way my dad dressed? Her old name? The sound of her voice? What on earth does this have to do with our relationship, with who she really is?’ If anything, Tina’s transition has meant I get to see my dad as she really is, and that’s deepened and strengthened our relationship. I’ve gained so much, not that it’s about me. It’s about Tina being her whole and happy self. At some point during Tina’s transition, my siblings and I asked her about alternative names to “Dad.” We talked about “Mum” but it didn’t feel right. I looked up the word “mum” in other languages and we tried one of them for a few weeks, but that didn’t feel right either. We’d all called her Dad for our entire lives, and while the switch to the name “Tina” and the pronouns “she/her” felt right, we all agreed on keeping “dad.” It feels like a term of endearment instead of a gendered word meaning ‘male parent’. When people refer to my dad as my “father,” I correct them. She’s not my father, she’s my dad. If there’s a gendered word for parent that fits, it’s mother. I have two mothers: one I call mum, the other I call dad. Got it? Good. Anyway, it’s not confusing to me. It’s just my family. We have mum and dad (nanna and grandma to the kids), then the four of us adult children and our partners. There are two grandkids, and one more on the way (my wife is due in August). We are a very happy rainbow family. I wanted to read my children books that reflect my family, including transgender characters. It was really hard to find anything, especially for a very young age group. I started to think the only way to get the books I wanted on to my son’s bookshelf would be to write them. I had three months off work to look after my son, and I thought, it’s now or never. I had an idea for a picture book about a transgender teddy. My son was obsessed with a book called Teddy Took the Train by Nicki Greenberg, so I knew he’d love a book with a teddy bear as the main character. I also thought it was interesting, the way we all have teddies we love as children and give them a name and a gender even though many teddies look totally gender neutral. What if one of our beloved teddies spoke to us and said, “actually, you thought I was this gender and you gave me this name, but deep down I know I’m a girl teddy not a boy teddy, and I wish you’d call me Wendy instead of Peter.” I imagined the way that young children would react to news like that. I think they’d say, “sure, no worries! Let’s keep playing!” This story idea would allow me to focus on identity, on what we know to be true in our hearts, instead of thinking too much about gender presentation. Once I had an illustrator on board, we decided to put the book on Kickstarter. I figured there were other families out there like mine – families with transgender grandmas and grandpas, aunts and uncles, mums and dads, kids – who needed picture books with transgender characters. What was genuinely surprising and delightful was how many of our backers did not have a trans family member, but wanted this book for their kids anyway. They could see the diversity in the world, and wanted it reflected and celebrated in the books they read their children. The Kickstarter really took off when Neil Gaiman tweeted about it. Suddenly backers started pouring in, and international media began getting in touch. In the end it took six days for us to hit our funding target, and by the end of the campaign we had doubled it. An amazing agent from Writers House in New York contacted us via Kickstarter. We signed up and before we knew it, our book had been picked up by Bloomsbury Publishing. I still remember the moment I got the news. It was the middle of the night when the email came from our agent. I was so happy and excited, I woke my wife up. (“BLOOMSBURY are publishing Introducing Teddy, Charlotte! Is this real?! Can this really be real? !”) There wasn’t a lot of sleep in our household that night. So now, a year after I wrote a little story for my son Errol and my dad Tina, my book is about to be released into the world. I couldn’t be happier, and I couldn’t be more determined to keep writing into the gaps, and celebrating others who write into the gaps. I hope that Introducing Teddy will eventually be one of many picture books for young kids with transgender and gender diverse characters, and that kids will know right from the very beginning that there is nothing wrong with being yourself, and that there is everything right with being open minded, kind, and accepting of our friends and family. Jessica Walton lives with her wife, son, and cats in Melbourne. A former secondary teacher, Jess is passionate about literature, board games, the ukulele, and funky prosthetic legs (her current one features green dragon scales). Introducing Teddy is her first book. To find out more visit http://www.jessicawalton.com.au. Using “classics” fairly loosely here, but whatevs!